Reborn: Chapter 302-Chrome in Julie's bed? Ninth is the one to realize that Tsuna is the one who truly represents/embodies the Vongola’s ‘true way of battle’. 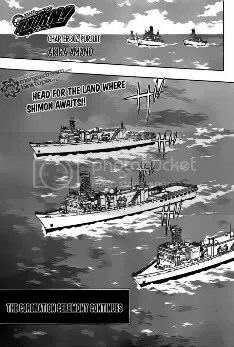 Starting with the second generation, the Vongola’s goal began to head to a different direction than what Primo had intended. 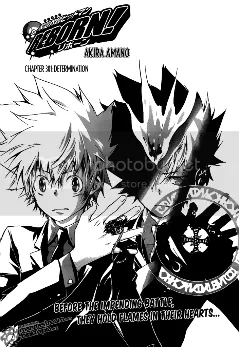 Tsuna is the one who will change the Vongola Family and lead it to the path of ‘righteousness’. Well, we finally know what the new forms of the rings are called: THE VONGOLA GEAR. ehh,, doesn’t seem like much creativity but who cares as long as the ‘gear’ looks awesome. There are lots and lots of tiny details that match each individual hence them being the ‘custom series’. I’m getting excited at the thought of seeing the gears animated. I wonder what the colors are and will the designs still be in great detail in the anime.